Socks. Yep, you read that right. There are so many positives to having sons these days. Especially when you consider girls and jr. high or high school. However, there is one thing sons will never have on daughters, and that is their wardrobe. I was devestated to find out I wouldn’t be filling the tiny closets of my then hypothetical home with pink tu-tus and mary janes and hats and Easter dresses. Boys’ clothes have come a long way since the mid-70’s when my little brother was sporting Garanimals. But, they still aren’t anywhere near as plentiful or excruciatingly adorable as the worldwide selection of girls’ clothes. 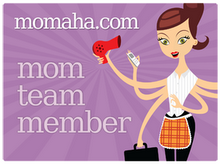 So what’s a fashmomista to do? Invest in cute socks. My boys had adorable socks. Trumpette socks, striped socks in every color, bright green and blue socks with planes on them, and Christmas socks with silver snowflakes or penguins in scarves. 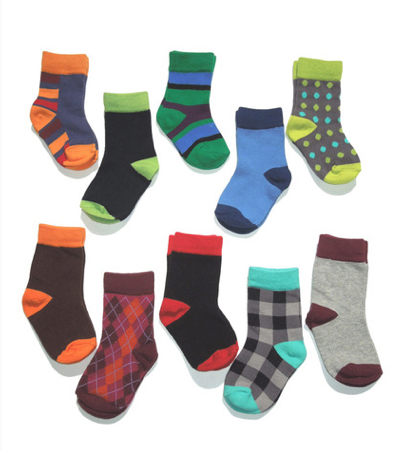 Needless to say when I ran across these adorable socks from Let’s Have Sox this afternoon on GILT.com, I was smitten. And at $30 for 10 pairs, they are a steal too!